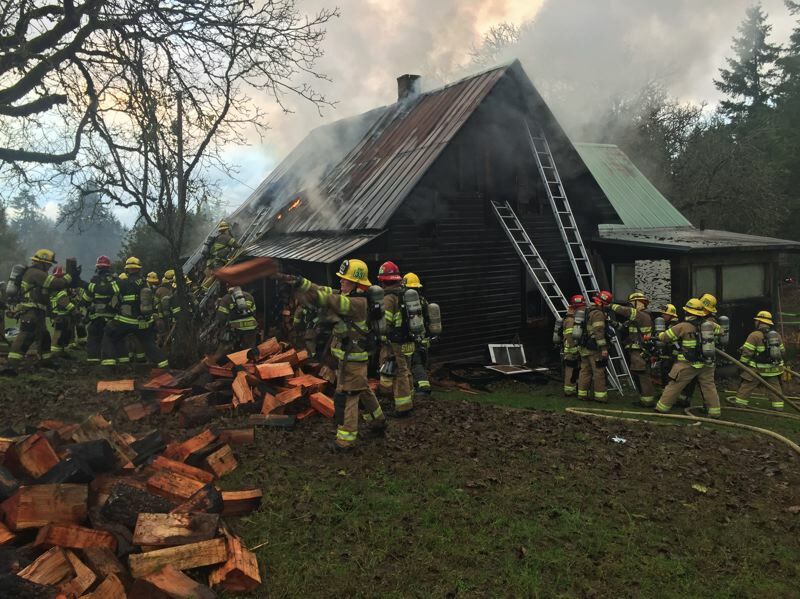 The Wednesday, Nov. 28, blaze left one Tualatin Valley Fire & Rescue firefighter with minor injuries. 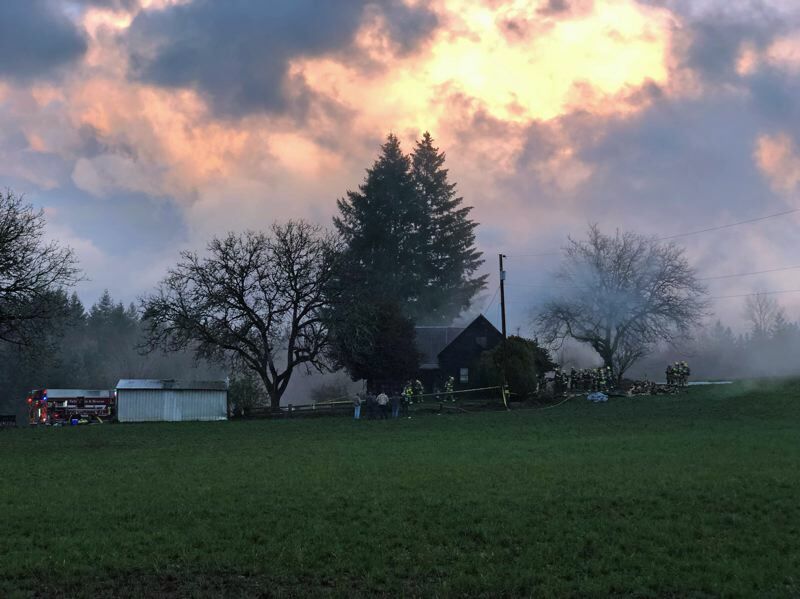 A house in a rural area west of Sherwood on Wednesday left one firefighter treated for minor injuries and taken to a hospital. Both homeowners and their pets survived uninjured. The call came in just before 3 p.m. Wednesday, Nov. 28, on a two-story home in the 18000 block of Seiffert Road. Firefighters arrived to find fire and pressurized smoke coming out of the second story windows and eaves. Complicating the firefighting: a downed power line near the home created a life-threatening hazard. A second-alarm was called to bring additional resources to the scene, including water tenders that were used to shuttle water to the rural location. Crews were able to get "significant knockdown" on the fire, according to a TVF&R press release, despite having to avoid the side of the house with the power line. Firefighters also moved piles of firewood away from the house before they could ignite. A TVF&R fire investigator will determine the cause of the fire. TVF&R was assisted on scene by crews from Hillsboro Fire and Rescue and the Washington County Sheriff's Office.